Solomon Islands is a Melanesian state with a population of approximately 650,000 people, incorporating over 900 individual islands. 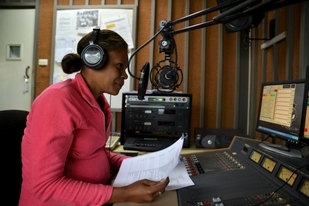 Several laws govern the formation and functioning of civil society organisations in Solomon Islands, most notably the Charitable Trust Act. Several laws govern the formation and functioning of civil society organisations in Solomon Islands, most notably the Charitable Trust Act. As such, the registration process is not centralised under a single statute. Under the Charitable Trust Act, the registration process is easy and inexpensive and the government does not have discretionary powers to deregister an organisation. Activists and human rights defenders are able to operate in the country without interference from the government or other non-state actors. People in Solomon Islands are free to organise and gather, and they generally do so to express discontent for several issues including inequality and government corruption. People in Solomon Islands are free to organise and gather, and they generally do so to express discontent for several issues including inequality and government corruption. The constitution guarantees freedom of assembly. According to the Procession and Public Assemblies Act, organisers of demonstrations and gatherings must obtain a permit at least 48 hours in advance. Although cases of police using excessive force have not been recorded recently, acts of intimidation still occur. For example, during a gathering by the Solidarity Movement for the United Liberation Movement of West Papua at the Honiara airport, civil society reported instances where the police started following the protestors. Freedom of expression is generally respected and constitutionally guaranteed. Freedom of expression is generally respected and constitutionally guaranteed. In general, private media can operate in the country without harassment, and physical attacks against journalists are rare. However, in a 2015 survey of journalists, 63% of participants felt restricted when reporting on sensitive topics. Defamation remains a criminal offense. Although use of the internet seems to be unrestricted, accessibility by the population remains low. There is no law providing for access to public information.